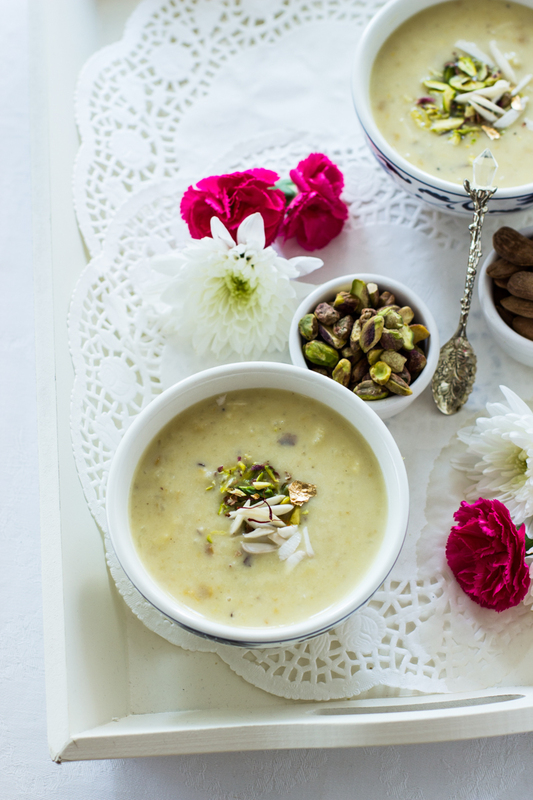 This deliciously creamy Moriyo Phool Makhana Kheer (sweet thickened milk with Barnyard Millet and Fox Nuts) recipe is a sweet dish. It is a quick and comfort dish which can be enjoyed on fasting days such as Shravan Month, Gokulasthmi, Navratri or Mahashivratri. This rich and creamy kheer is prepared with Moriyo also known as Sama, Samo or Vrat ke Chawal and Makhane aka Fox Nuts, flavoured with cardamom, nutmeg and added nuts halfway through then garnished with almond and pistachio slivers.These added flavoures and textures make an already creamy kheer even more delicious! The holy month of Shravan is here, it is the holiest and auspicious month of the Hindu year. This month is dedicated to Lord Shiva, not only devotees of Lord Shiva but followers from Sanatan Dharma around the world observes austerities, fast and prayers to purify the mind, the senses, the body and the soul. 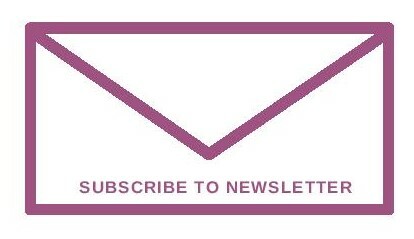 Also in this month, various big festivals such as Naag Panchami, Shitla Saatam, Raksha Bandhan, Janamasthmi and Hindola are celebrated with zeal. While I was growing up in India, I used to wait eagerly for the month of Shravana. Obviously, there are plenty of festivals lined up in this month, means so many delicious and gorgeous yummy treats were on the table. As far as I know, my mum never observed any fast in the month of Shravan, and I followed same, however, sometimes I love to indulge in delicious fasting dishes. So here I am with Moriyo Phool Makhana Kheer! 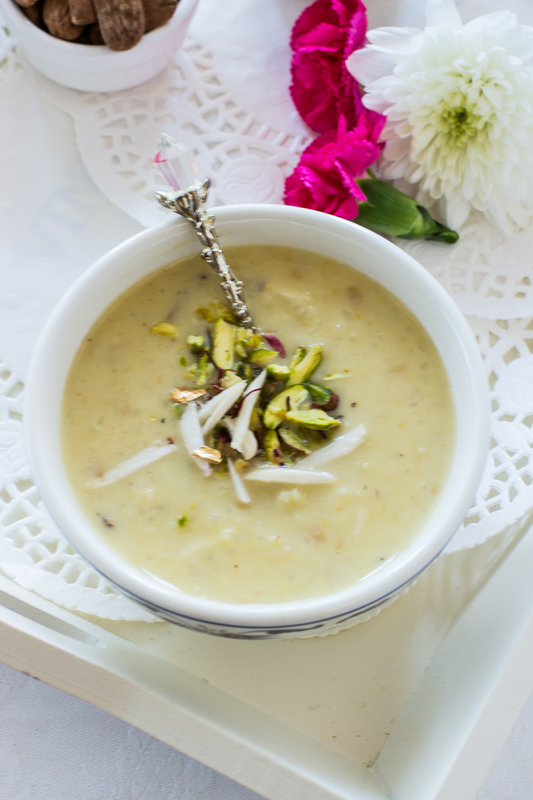 Some make a kheer with just Moriyo and you can also make it with just Phool Makhana. But I have combined Moriyo+Phool Makhana and made one kheer out of both. This experiment paid off and the results were very pleasing!!! Moriyo and Makhana Kheer, so easy to prepare and it is luscious, ideal to consume during fasting but you may enjoy it anytime! Clean, wash and soak barnyard millet in cold water and leave it aside for 5 minutes.In a heavy bottom pan heat ghee and lightly roast fox Nuts until crispy.Remove fox nuts and add milk in the same pan.Bring the milk to boil and add soaked millet ( discard the water) and let it cook. keep stirring continuously.In a mixer grind the roasted fox nuts, don't make powder keep it coarse.Once you see milk getting thicker, add coarsely fox nuts.Now add sugar and continue cooking the kheer for another 5 minutes.Add saffron, cashews, cardamom and nutmeg powder.After a couple of minutes turn off the heat.Serve kheer in a serving bowl and garnish it with almond and pistachio slivers.Enjoy! Wow this sounds really yummy! I've never made anything like this but it sounds delicious! Especially because I love pistachios! So yummy. Love the ingredients in it. Just want to make it now. This is a such an innovative recipe..right in time for JAnmashtami. Never ccooked with makhana before..pinning this. I am always intrigued when I read recipes that are new to me. My neighbors are Hindu and I always enjoy the recipes they share with me. This fasting recipe sounds delicious and a perfect way to celebrate the holy month. This kheer looks delicious, strangely enough I have never cooked with either of these ingredients so I will check them out on my next grocery shopping trip. Nice kheer I usually make only with makhanas. Will try this one next time. This dish brings back memories of Kenya when my mum used to make this kheer for the Shravan mas fasting. I have never made these but will certainly bookmark the recipe as I do not have the ingredients. This sounds delicious from your description! I confess nearly all of these ingredients are new to me - that's one of the things I love so much about cooking - there is always more to learn! Lovely color and it sounds so rich and delicious! This looks like a recipe to add to my Fall Soup Recipes! I love reading and learning about religious festivals of other cultures. I may add it is even more fun when the tasty dishes that are associated with them are shared too! This sounds absolutely delicious. I have no idea where I'd get many of these ingredient, but it's such a gorgeous dish and sounds delicious! 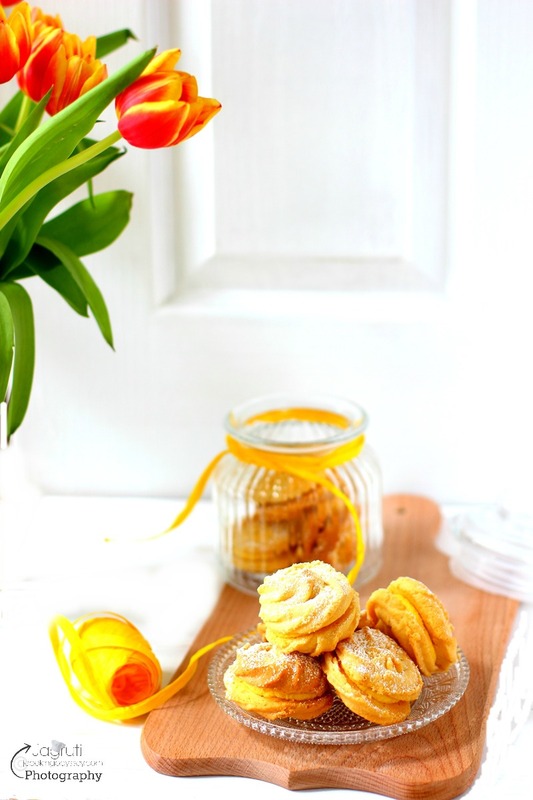 This photos are gorgeous and the recipe sounds lovely!